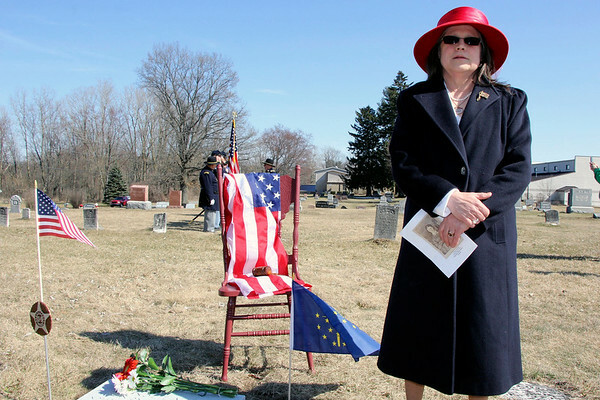 Elizabeth Thurston stands at the headstone of Arsinoe Martin, a Civil War nurse from Elkhart County. Martin is the namesake of a new heritage society that received a charter through the Ladies of the Grand Army of the Republic during a ceremony Sunday. The event included placing wreaths and flags at Martin's grave in the Pine Creek Cemetery on C.R. 23.